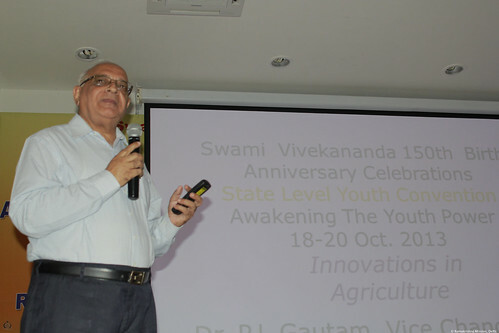 Dr. P. L. Gautam, Vice Chancellor, Career Point University, Hamirpur, Himachal Pradesh spoke on ‘Innovation in agriculture (कृषि में नवीनीकरण)‘ during the session with the theme ‘India’s Major Challenge: Food Security (भारत की प्रधान चुनौती : खाद्य सुरक्षा)’ on 19 October 2013. Dr. P.L. Gautam is a renowned plant breeder and an educationist, and is currently the Vice Chancellor of Career Point University, Hamirpur (H.P). 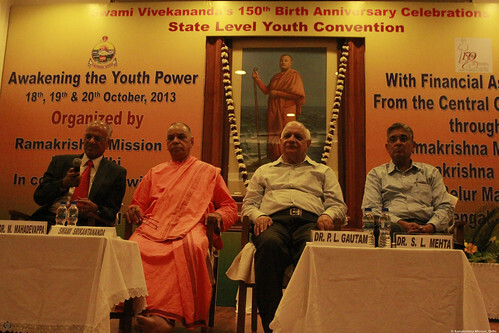 He has earlier served as the Vice Chancellor of G.B.Pant University of Agriculture and Technology, Pant Nagar; Deputy Director General (Crop Science), Indian Council of Agricultural Research; the Chairman of National Bio-Diversity Authority and the Chairperson of Protection of Plant Varieties & Farmers’ Rights Authority. He has received the Agriculture Today Life Time Achievement Award, Lal Bahadur Shastri Memorial Award and the Dr. Harbhajan Singh Memorial Award.